Between being pale & spotty, finding a new foundation can be difficult. When it comes to things like foundation I love sticking to the same old same old so I rarely try any new ones out as I am scared to not like them and end up wasting my money so I rely on recommendations of my friends on new foundations I try. Though 2017 I found 3 of the most amazing drugstore foundations and I felt like I needed to share them with you all. They are all quite alike but I do like the same factors in foundation I like high coverage and long lasting and the foundations I’ve tried have all ticked these boxes! So to start with The one I’ve loved the longest and I got off YouTube recommendations the L’Oréal true match foundation in the shade rose ivory! This foundation blew up on the internet and was the first foundation I tried and it hasn’t disappointed me. The coverage is median to full, it lasts all day and is so comfortable on my skin - they’re no faults with this foundation. It’s a wearable day to day style I think everyone should have. 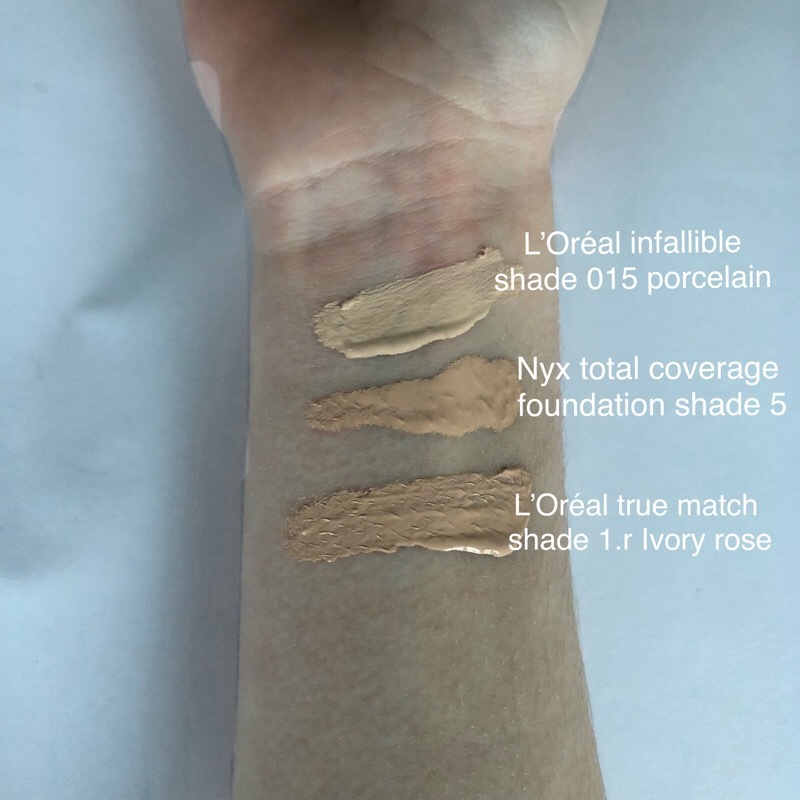 Next sticking with L’Oréal is the L’Oréal infallible stay fresh foundation in the shade 15 porcelain! If anyone’s pale this is the shade for you!! I mix this with a darker foundation to match my shade. Well this foundation was recommended from a friend and is super full coverage, it’s again comfortable not cakey on your face which I love and it does stick to the claims and last all day whilst staying fresh. This is perfect when your makeup needs to be on for a full day or you just want to have a full coverage look. Last but not least onto the newer addition in the family, the nyx total coverage drop foundation in the shade 05 light. I’ve only used this foundation 3 times but it’s really amazing. The internet has been loving this recently ahh I wanted to try it! I love the idea of being able to build up the coverage with the drops just wish it was cheaper and a bigger size but we can’t have it all? The coverage is how you want, it’s such a light consistency it feels like it isn’t even there and it does stay flawless all day. I really can’t knock this and will have to try more of nyx’s foundations! Well I hope this post gave you the boost to buy these foundations because they all are worth it!! 2018 will be the year of me trying more makeup and I have afew drugstore foundations in mind to try so maybe round 2 of this post will come later. Any recommendations will be nice! I love reading about drug store make-up, so affordable! 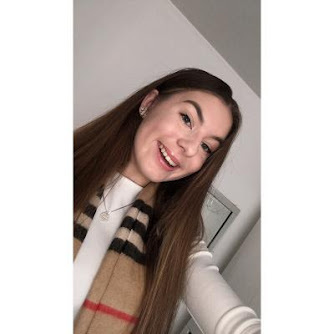 I really love rimmel london make-up, especially the foundation! 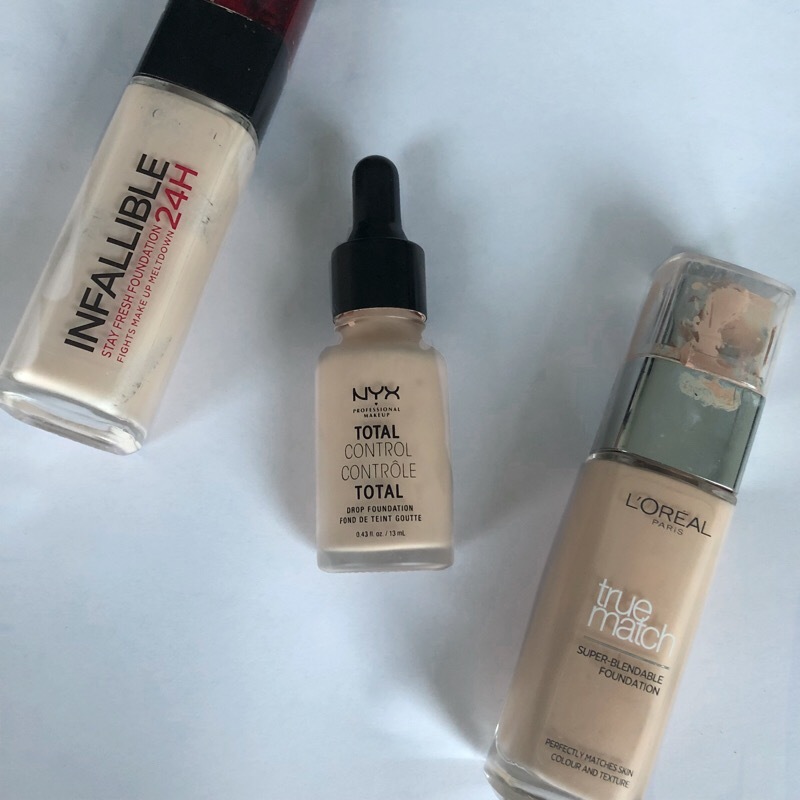 If you like drugstore foundation then I definitely recommend giving the Wet N Wild Photo Focus foundation a go as well as the Maybelline Fit Me Matte and Poreless. Both are so amazing!! I’d love to try them both out! Heard so much good things on them!! 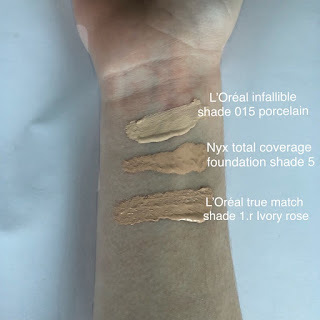 I love L’Oréal True Match!! Great post! !